WAGON WHEEL PLANTER by Summerfield Terrace home decor, jewelry, decor, decorations, electronics, fountains, floor mats, art glass, vases, garden essentials, fireplace screens. Rustic planter creates an instant oasis with a little country charm! 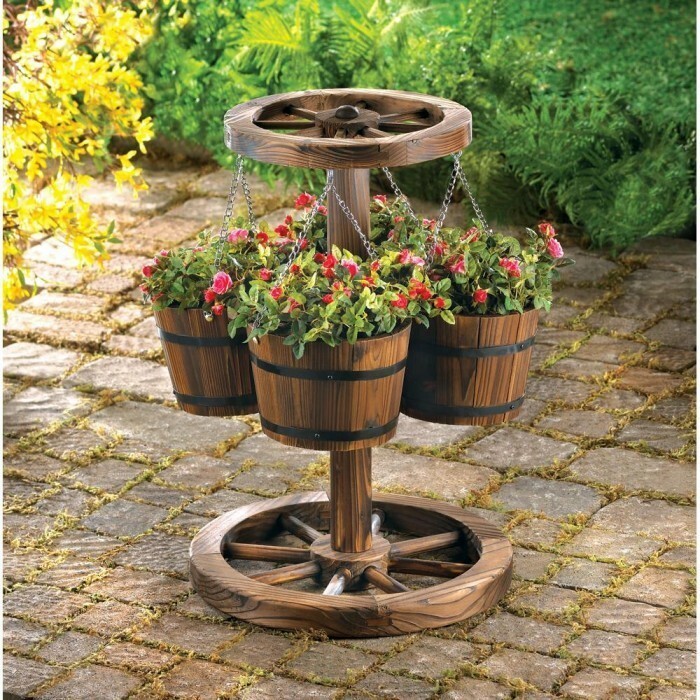 Four buckets hold a quartet of your loveliest plants, suspended from a realistic wagon wheel center; well-weathered finish lends an antique look. Plants not incldued. Material(s): METAL WOOD - FIR. Weight 8 pounds. Dimensions 18.5" x 18.5" x 23.5"